(Nanowerk News) To encode data, today’s computer memory technology uses electric currents – a major limiting factor for reliability and shrinkability, and the source of significant power consumption. If data could instead be encoded without current – for example, by an electric field applied across an insulator – it would require much less energy, and make things like low-power, instant-on computing a ubiquitous reality. A team led by postdoctoral associate John Heron, who works jointly with Darrell Schlom, the Herbert Fisk Johnson Professor of Industrial Chemistry in the Department of Materials Science and Engineering, and Dan Ralph, the F.R. Newman Professor of Physics in the College of Arts and Sciences, has made a breakthrough in that direction with a room-temperature magnetoelectric memory device. Equivalent to one computer bit, it exhibits the holy grail of next-generation nonvolatile memory: magnetic switchability, in two steps, with nothing but an electric field. Their results were published online Dec. 17 in Nature ("Deterministic switching of ferromagnetism at room temperature using an electric field"), along with an associated “News and Views” article. Because it’s multiferroic, bismuth ferrite can be used for nonvolatile memory devices with relatively simple geometries. The best part is it works at room temperature; others scientists, including Schlom’s group, have demonstrated similar results with competing materials, but at unimaginably cold temperatures, like 4 Kelvin (-452 Fahrenheit) – not exactly primed for industry. “The physics has been exciting, but the practicality has been absent,” Schlom said. 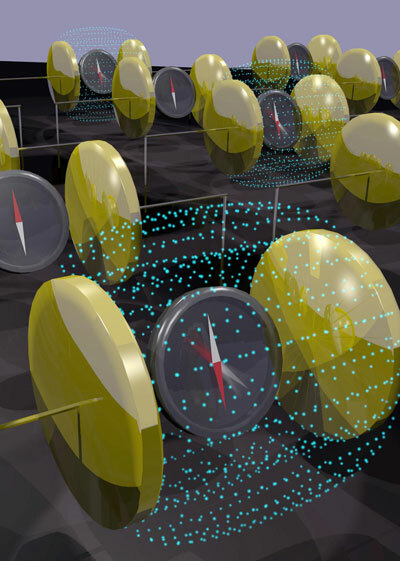 The multiferroic device also seems to require an order of magnitude lower energy than its chief competitor, a phenomenon called spin transfer torque, which Ralph also studies, that harnesses different physics for magnetic switching. Spin transfer torque is already used commercially but in only limited applications.